Liberal junior runner Cam Slatten is the Mead Lumber Athlete of the Week. She took second in the Hugoton meet in 20:08 for the LHS girls who won the meet. 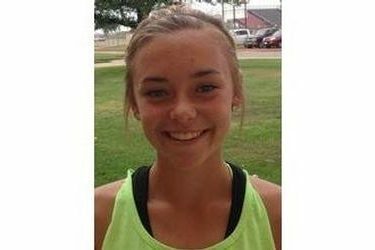 She took seventh in the first meet at Perryton despite twisting her ankle badly enough to land on crutches the next week and miss the Hesston meet. Slatten is a member of NHS and runs track at Liberal. She was all state last year taking 18th at the state meet and won the WAC in cross country last season. She and the Redskins run at Lawrence Saturday.